I heard this song earlier this week for the first time in a while. Lenny Kravitz released his album Mama Said in 1991 at a time of his break up with Lisa Bonet. He was cool, but he was hurting. ‘It Ain’t Over ’till It’s Over’. Have a good weekend. Now for one of my shoegazing/alt rock favourites… Mercury Rev’s song ‘Frittering’ featured on their psychedelic long player Yerself Is Steam. Guitarists Jonathan Donahue and Sean “Grasshopper” Mackowiack unleash a wall of feedback at the 2:05 mark to accompany David Baker’s claustrophobic vocals. It’s all infused with West Coast shimmer and a pinch of Roger Waters-like salt to taste. Bloody brilliant. Geoff Hibbert had been producing dance music since 1988 under various guises. In 1991, he released this house banger as Rhythm On The Loose. I am tempted to label ‘Break Of Dawn’ as progressive house, but really this was a slice of breakbeat techno that was so prevalent in 1991. What made this track so ubiquitous on dance floors was Hibbert’s sampling of classic Salsoul. The Shep Pettibone mix of First Choice’s ‘Let No Man Put Asunder’ is cleverly blended. After some success with After Hours‘ ‘Waterfalls/Feel It’, Andrew Richardson teamed up with Sound Waves’ Gijo Rosario and created another deep house classic. Like the best of deep house from that time, the track’s simplicity (organ, vocal loop, hi hats) is what makes it still sound so timeless. The Strictly Rhythm label was on fire. Summer hit this week and it’s never too much of a heat-dream for me to think of open air nights in the Med. So step aside for an early 1990s piano house banger. Peterborough dance legends Shades Of Rhythm released ‘Sound Of Eden’ in 1991. They were on a roll; their previous single was the classic ‘Sweet Sensation’. Tuuuuuuunnnnes. “Here’s another chance for you to dance with me.” Have a great weekend. The producers The Basement Boys stumbled across a demo of Chrystal Waters’ ‘Gypsy Woman’, overlooked their go-to muse Ultra Naté and turned the songwriter into an overnight sensation. 1-2-3, “but she’s homeless, she’s homeless/And she stands their singing for money, La da dee la doo dow, la da dee la do dow”. Have a great weekend. Even in 1991, ‘To The Motherland’ had a bygone sound. Born and bred in Chicago, Steve Poindexter was part of the original ghetto house scene (Armando, Frankie Knuckles etc.) of the mid 1980s. Moreover, his father used to drum for Duke Ellington. Now that’s old school. Released on Musique records, this deep house workout featured on the B-side of the Steve Poindexter and Kareem Smith pressing ‘N B Battle Track’. Have a great weekend. Hands in the air my friends. This track is all about two individuals for me – Gianfranco Bortolotti, the producer behind Cappella, 49ers, Fits Of Gloom and East Side Beat, among others; and Bangor’s very own Sasha, DJ master. Bortolotti provided the Italian stylee house breaks (which now sound a little sown together) and Sasha executed in most of his early 1990s warehouse sets. And to top it off, the Hypnotic Cyber Mix of Cappella’s Everybody was released on the FFRR label when they were hot as. Have a great weekend. In 1991, I spent more time in Quadrant Park, an infamous club on the outskirts of Liverpool, than I can or care to remember. During those hedonist days, the sounds of piano house and breakbeat techno crowded out any other music. Some of those genres have not aged that well and ‘Playing With Knives’ is no exception. However, Bizarre Inc.’s Quadrant Mix of the track will always have a special pacemaker-sized place in my heart. Have a great weekend. News broke yesterday of his Frankie Knuckles’ death. The man was house music royalty. Resident DJ at THE Warehouse in Chicago, he was a childhood friend of Larry Levan, he bought his first drum machine off Derrick May and worked with Jamie Principle and Robert Owens back in the day. Maybe too pop to be as cool as the pulsating ‘Your Love’, the seminal ‘Let The Music (Use You)’ or the cultured ‘Tears’, ‘The Whistle Song’ remains the island anthem best played to a setting sun. RIP Francis Nicholls. What do you get if you mix up a Jungle Crew baseline, 808 State atmospherics, the vocals of Candi Staton and a bucketful of northern attitude? The answer is and was Altern 8’s Infiltrate 202. The track opens with some highly quotable gibberish, a frenzied crowd and fog horns. It could be said that you had to be there. Chet Baker to Geto Boys is a leap and a half, but stick with me. ‘Mind Playing Tricks’ featured on GB’s 1991 long player We Can’t Be Stopped. While the gangsta subject matter was pilloried, the sweetly sampled grooves of ‘Hung Up On My Baby’ by Isaac Hayes were a masterstroke by anyone’s standards. Just to add to the juxtaposition, the album cover features an injured Bushwick Bill. The staged hospital scene with Scarface and Willie D documents the real life event of the dwarf Bushwick losing an eye in a shooting. In 1991, rock was also going through a game change. The layers of My Bloody Valentine’s 1991 album Loveless would alter post-rock forever. ‘Only Shallow’ was the first track off the album – it takes off with a drum roll followed by the squall of droning guitars in unison. Within seconds, the Irish band would become synonymous with shoegazing. Such was the song’s influence, they released it as a single in 1992. Have a great weekend. How dance music had changed in a decade. I stumbled across a recent Mixmag listing of the best dance/house tunes of all time, as voted by their readership. It had me hunting down old copies of the magazine that listed the same in 1996 and 2001. Given that all three lists cover most of the genre’s heyday, I was interested to compare shifting opinions. In 1996, Joey Beltram’s ‘Energy Flash’ topped the list with Alison Limerick’s ‘Where Love Lives’, and Ce Ce Rogers ‘Someday’. By 2001, favourite tracks for the same period had become those of Massive Attack, Faithless and Underworld, and not much has changed since. Energy Flash was a game changer – exploding onto the scene in 1991 and paving the way for experimentation with a harder sound. But of course, that experimentation would ultimately make ‘Energy Flash’ less essential. But what memories… dry ice and smiles all round. 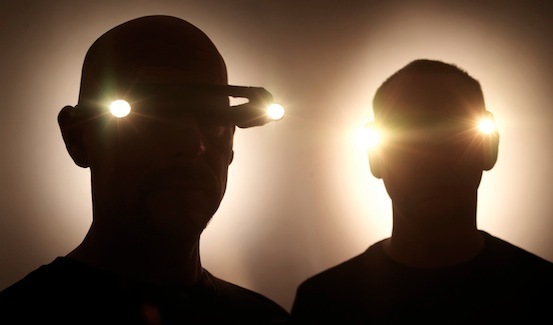 By 1991, dance pioneering brothers Orbital had already experienced some success with ‘Chime’, recorded a couple of years earlier and eventually released on FFRR Records in 1990. But with ‘Belfast’, a track off their (green) self-titled debut album, they cleverly struck a balance between the chillout of Enigma and the rave sound they had purveyed. The track weaves electronica with dance and some well chosen choral sampling – like Enigma, the choral preference was a Benedictine one, taken from Hildegard von Bingen’s ‘O Euchari In Leta Via’. The heady mix became the soundtrack to many a long weekend.